Peter Joseph Lubin, 61 of Downingtown, Pa., died on April 13 with his wife and daughter by his side, after a valiant 36-month fight with Amyotrophic Lateral Sclerosis (ALS). He faced ALS with the same grace with which he lived his life. Born in Livingston, Peter was raised in Bernardsville, N.J., the youngest of three. He graduated from Lynchburg College in Virginia with a degree in Economics and International Business and earned his PMP certification from Penn State. Peter's career in telecommunications included leadership roles at Verizon and Exelon, and he retired early from Penske, in Reading, as Director of Utility and Telecommunications Services. A natural athlete, he was at home in the outdoors, whether hiking through canyons or skiing. 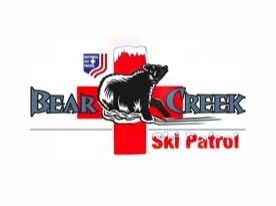 Peter treasured his annual ski trips with his daughter, Karli, and was committed to his volunteer work on Ski Patrol at Bear Creek Mountain. Peter shared his zest for life generously, and he made friends everywhere he went. At the same time, his favorite hours were spent at home with his girls and his dogs. Peter is survived by his best friend and wife of 35 years, Carole, their beloved daughter, Karli, and honorary mother, Connie. His family also includes a brother and sister, brothers-in-law, cousins, nieces and nephews. Part of his legacy is a wide circle of friends who will remember his smile and easy laugh.